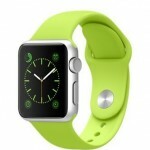 The Apple Watch has been on the market for over a year now, so people are greatly anticipating the follow-up. Many rumors are circulating as to what the Apple Watch 2 or second generation of the wearable will include for features and hardware. Sadly, all we have at this point is nothing more than speculation. 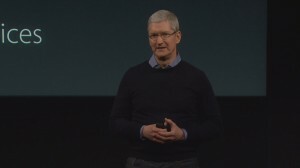 The annual Apple event where they reveal all their coming products came and went on March 21, and there was absolutely no mention of the Apple Watch 2. 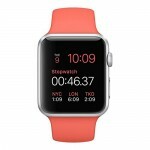 The original model did receive a software update towards the end of last year, dubbed WatchOS 2.0. It introduced new features and improved on some fan-favorites. What many of us really want to see, however, is a hardware update, not just a software one. Since rumors and speculation are all we have to go on at the moment, we collected everything there was to find about the Apple Watch 2 and consolidated it here. What Happened at Apple’s March Event? Apple announced the first-gen Watch “is the number one selling smartwatch in the world” which is a lofty claim, but undoubtedly warranted. Although, we have yet to see solid numbers revealing just how many watches Apple has sold – so far we’ve only seen shipment estimates. During the event, Apple also took the opportunity to unveil a variety of new bands for the watch including a low-tier nylon band that comes in seven different colors ($49). Other band updates include new color variations for the sport and leather styles, as well as a new black edition of the stainless mesh Milanese loop. Of course, Apple also announced price changes for the entire Watch Sport line. 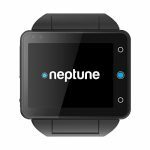 They now start at $299 for the 38mm model and $349 for the 42mm model. 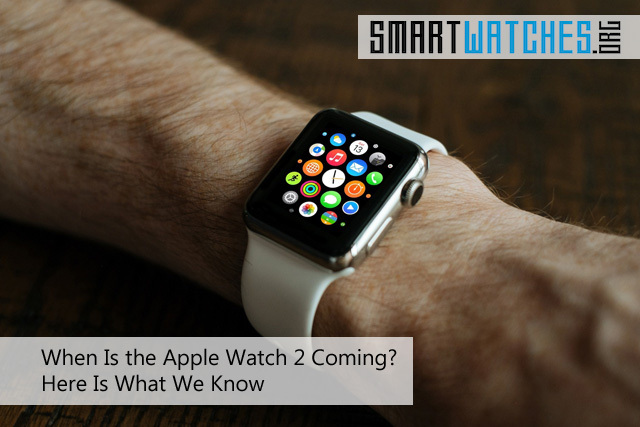 When Will the Apple Watch 2 Be Announced? As previously stated, many were hoping that Apple would unveil the next generation of the Apple Watch during their March event, but clearly that didn’t happen. People grew extra restless when the company announced the price drops for the original version, but nothing came of that either. As of now, we can only predict that Apple will unveil the Apple Watch 2 sometime later this year – likely in September – or maybe even at WWDC in June (unlikely since it’s a developers conference). There is yet a glimmer of hope! As noted by MacRumors, Barry Lam the chairman of Quanta may have let slip the tentative launch date during an investor’s call. Quanta is the company that mass produced the original Apple Watch model, so it’s likely they will be handling the successor, as well. During the call, Lam apparently let it slip that a limited quantity of the Apple Watch 2 will be available by the end of second quarter 2016. Due to a limited production run, availability won’t grow until the third quarter. If what he says is true, then the Apple Watch 2 will certainly be unveiled to everyone within the coming months. TechRadar seems to think that the second generation Apple Watch will be unveiled alongside the iPhone 7 and iPhone 7 Plus in September. What Is New on the Apple Watch 2? You might be disappointed to find out that most of the rumors are pointing to an incremental update for the Apple Watch line. Apple probably will not apply significant hardware upgrades in terms of features or specs to the Apple Watch 2. This makes sense because Apple usually likes to keep their products on an even keel in order to keep the update process relatively simple for developers. That doesn’t mean it won’t have anything new. Remember, Apple will want to convince current owners to upgrade, and new owners to purchase the more expensive model. 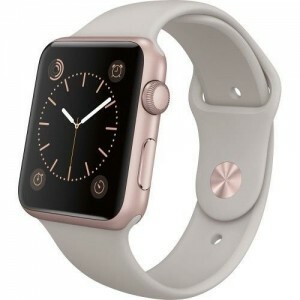 According to sources, Apple wants the Apple Watch 2 – or whatever the next hardware update is called – to be able to connect to FaceTime, and not just to display video chats, but transmit them, as well. Purportedly, the Apple Watch 2 will include a front-facing camera that users can make video calls with. Unlike the camera in the original Samsung Galaxy Gear, the Apple Watch lens will have to be facing the user which means it is going to be located somewhere in the top bezel. 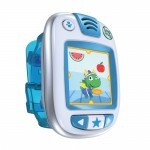 Of course, no one is going to use FaceTime on a smartwatch if they have to carry their smartphone with them everywhere. There’s just no point since you can whip out your phone and take advantage of a larger display screen, better battery life, and a better camera. It makes sense then recent reports claim Apple is likely going to offer more advanced wireless connection support for the Apple Watch 2. 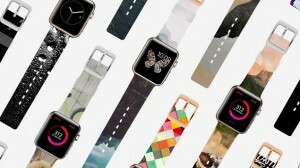 Apple wants to boost connectivity of the next Watch model and make it tether-less so that it doesn’t rely as strongly on an active Bluetooth connection to an iPhone. To do this, they’ve apparently embedded a “more dynamic” wireless chip, says 9to5Mac. This advanced chip will be able to handle more powerful wireless tasks like heavier data transfer and more accurate triangulation for GPS and location updates. The current Apple Watch already supports Wi-Fi for app updates and messaging, but not much else. 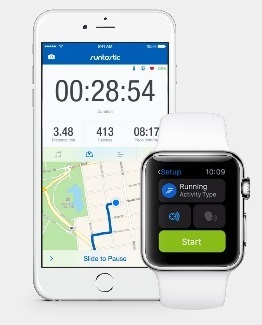 According to reports, Apple will also be introducing a new multi-purpose band for the next-generation Apple Watch. They recently patented a “Magnetic Wristband” that not only details the unique makeup of such a band but alternative uses as well. The band will include small magnets embedded within so that it can be folded in on itself in various ways. 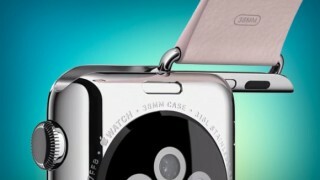 For example, the band could be rolled up behind the watch to prop it up as a sort of makeshift stand. It could also be used to wrap around the face of the watch during transportation to protect the screen and body from scuffs. There are also rumors that suggest Apple is looking to include a larger battery inside the Apple Watch 2, and they are also working with LG and Samsung to develop thinner OLED displays. The thinner display won’t make any changes in terms of resolution, screen size, or general design. Instead, it’s just supposed to allow Apple more room inside the case to include the bigger battery that they want. It’s worth mentioning that if they do include a bigger battery, we likely won’t see a significant increase in battery life because they’re also looking to include a more powerful wireless chip. When all is said and done the specs should balance out nicely. If we look at the rumors collectively, it would seem that Apple is indeed gearing up to launch another Apple Watch model, but it’s not going to be a major update. In fact, all reports point to a model that borrows the same design, power, and specifications as the original with just a few minor tweaks. It’s possible that the next device launched will merely have an S moniker, for the incremental updates the company is known for (think the Apple Watch S). If that is the case, the Apple Watch S would launch later this year and the next major update will happen near the end of 2017, instead. But again, all of this is based on speculation. There’s no way to know for sure what Apple is planning until they make an official announcement. What do you think of the rumors? Are you excited to see the next model in the Apple Watch lineup? Are you more than happy with the original?